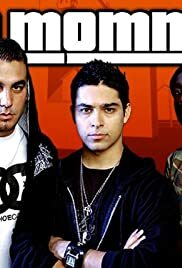 The lead ("Fez" the token alien from That 70's Show) is admirable, actually smiles at effort, and shows a great deal of comfort, through asking questions, understanding, and analysis - addressing the audience. Language is mute, but begins a proper, complete example of the vernacular being mainstream and original. In Quebec, Canada, "Yo Momma" was broadcast at normal hours fairly often, giving me and maybe you another respect for our language and their tone.